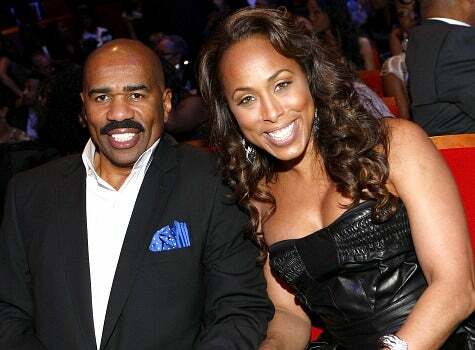 Wherever he is, Steve Harvey — who appears on the cover of ESSENCE’s January issue, and is promoting his new book, “Straight Talk, No Chaser” — is constantly praising his lovely wife, Marjorie. ESSENCE.com chatted with her to discuss their relationship. ESSENCE.com: What was Steve Harvey like back in 1986? 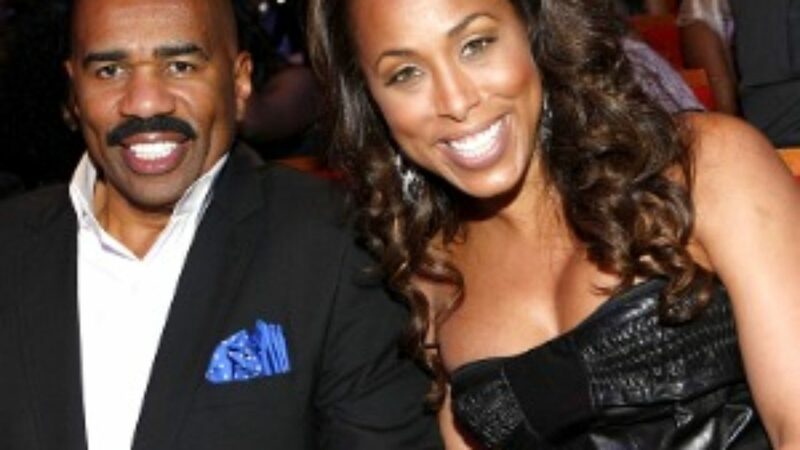 MARJORIE HARVEY: Ambitious. Steve was always a sweetheart — he was a sweetheart then. Steve just gets a bad rap sometimes. He had a lot of people that just mistreated him, but he was such a sweetheart. …He’s got a heart of gold and it would just break my heart to see those that would mistreat him and take advantage of him, but we have to go through it. It’s one of those things, you have to accept the good with the bad. ESSENCE.com: Did you and Steve keep in touch over the years? HARVEY: Not as much as we would have liked. A lot of things that I knew about Steve, I got a chance to read about and see on television. We were friends. We dated years ago and I think it was the long distance more than anything with Steve and I [that made us go] our separate ways. Nothing happened. He didn’t break my heart. I didn’t break his heart. It just was a long distance relationship and someone would have had to make a decision back then. No one made a move. But it didn’t mean we didn’t care, it’s just sometimes life gets in the way. Obviously, it wasn’t the perfect timing or it would have happened. We sometimes kick ourselves now because we’re so perfect for each other. If only we had just done something about it back then, but I have a more seasoned Steve now — a man that knows what he wants, is confident in his own skin, and it’s just a beautiful relationship now. ESSENCE.com: What was it that had you over the moon for Steve? HARVEY: I was over the moon for Steve when I first met him, so to trust my heart and go back to the man that I once loved was really easy. With Steve, I could relax because I knew this wasn’t someone that had broken my heart so I could trust him. He knew that he could trust me with his heart and trust is a big thing. It made it a lot easier for he and I to just move past the preliminaries and just to get to know each other again. ESSENCE.com: He talks about how he had to “man up” to meet you where you were. Were you confident that if you put your food down he would be the man that you wanted him to be? HARVEY: I think the man that he is has always been in Steve and I don’t really consider it manning up. He has always been a man. I just looked at it as though I had a set of standards and I knew what I wanted for my life and we were both in love with each other so if this is the direction that we both want to go in, then let’s go. Getting up and leaving had nothing to do with what he was going to do. It had only to do with what I wanted and what I would not tolerate. I didn’t look at it as though he was going to be wrong if he didn’t want what I wanted. I just knew whatever it is that God had for me, God is going to bless me with it and the same for him. I got the benefit of marrying my best friend. ESSENCE.com: What type of a husband and father is Steve? What’s your life like together? HARVEY: I wish every woman can find a soulmate like I’ve been blessed to find. This is really my best friend. I can talk to my husband about any and every thing; he can talk to me about any and every thing. We complement each other and we bring out the best in each other so it’s just a beautiful relationship all the way around. We laugh together. I love his sense of humor. For my children, I only wish that my sons — all three of them — can be the man that their father is and for my daughters I wish for them the same thing that I finally found and that’s a man just like my father.